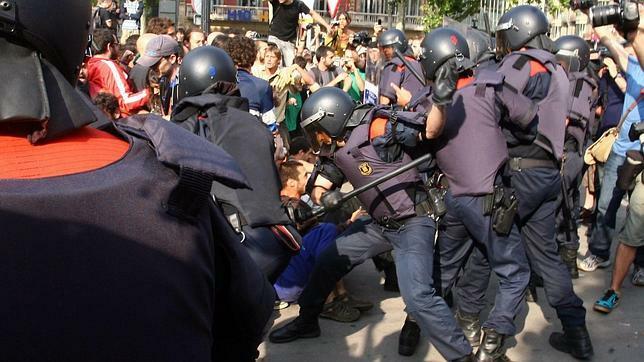 On May 27, 2011, police tried to evict the camp at Plaça Catalunya (Barcelona), which consisted of citizens exercising their right to freedom of assembly in a public space. The ensuing events in Barcelona became one of the most-documented cases of police brutality in recent history. They will also go down in history for the effective, exemplary and forceful non-violent response of the demonstrators. Following these events, a group of citizens filed a complaint reporting police abuse. But the judge closed the case without even hearing the complainants. This decision effectively left the claimants – and all citizens – utterly defenceless, and left the perpetrators of the serious events that took place on May 27 unpunished. It also created a dangerous precedent that is reminiscent of the impunity that existed in Spain during Franco’s dictatorship. #SOS27M Police impunity questions Spain’s democracy and justice system and calls for the support of the international community.